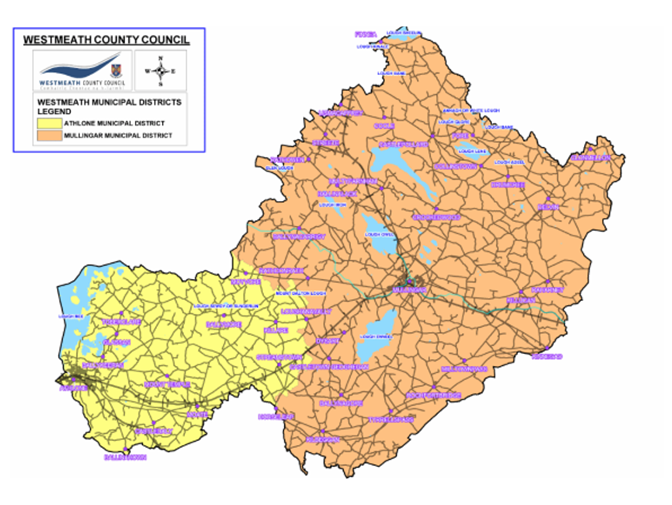 This means that Westmeath has a PPN for each of its two Municipal Districts. A County Plenary which operates at County level dealing with County level issues. 2 Municipal PPNs which operates in each of the two Municipal District dealing with issues at a municipal level. Linkage Groups which will form to deal with specific issues and support nominees in their participatory role. This will form part of the accountability and feedback mechanism for the PPN. 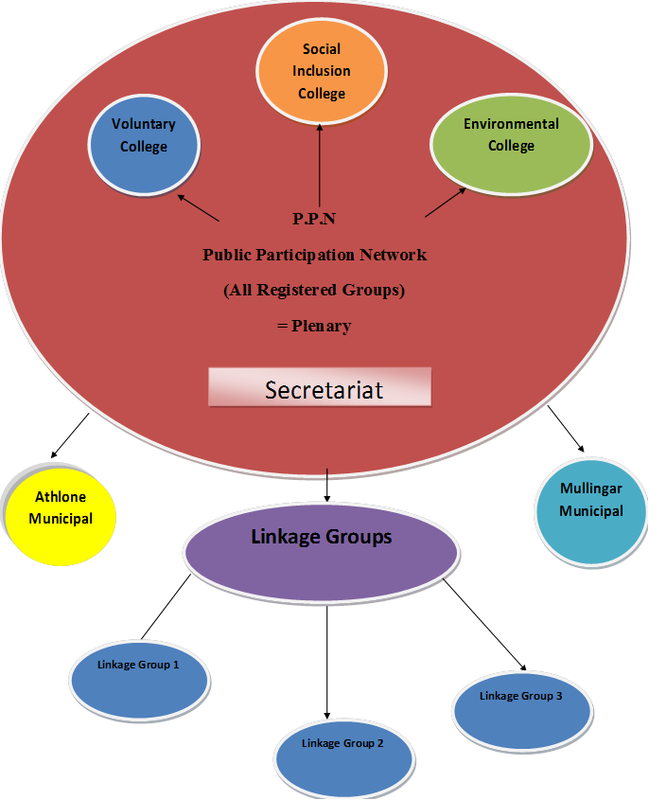 A Secretariat at County level that acts as facilitation administration and communication mechanism for the PPN.